Irek Mukhamedov was born in Kazan in 1960. He trained at the Moscow Choreographic Institute. In 1981 he won the Grand Prix and Gold Medal at the International Ballet Competition in Moscow. He was immediately invited to join the Bolshoi Ballet and became the youngest man ever to dance the leading role in Spartacus. For nine years, he was the Company?s leading male dancer. His repertory included Ivan the Terrible, Don Quixote, Swan Lake, Romeo &Juliet, Giselle, Raymonda and Legend of Love. Yuri Grigorovich created the leading male role in The Golden Age for him. In 1988, he was awarded the Hans Christian Anderson Prize (Best Dancer in the World). In 1990, he made the decision to leave Russia and join the Royal Ballet in London. His arrival inspired Kenneth MacMillan to create a new pas de deux for him and Darcey Bussell which was performed at the Queen Mother?s 90th Birthday Tribute in July of that year. In succeeding seasons he made his debut in the Royal Ballet productions of the traditional classics and in a wide selection of modern works by the Royal Ballet?s own choreographers, including Kenneth MacMillan (notably in Manon, Mayerling and the specially created Judas Tree), Fredrick Ashton (La Fille Mal Gardйe), Ashley Page and William Tuckett. In 1995, Twyla Tharp chose him for one of the leading roles in the first ballet she created for the Royal Ballet. In the same year, he made his debut in a non-dancing role — the King of Siam in The King and I for the Covent Garden Festival. He has since appeared on British television in various acting roles. In April 1992, he formed his own small group to give short seasons both in the UK and abroad. For its 1994 appearances at the Sadler?s Wells Theatre in London, he invited Kim Brandstrup and Arc Dance Company to join him. Kim Brandstrup created a new ballet for Mukhamedov, Othello, in which for the first time he danced with a contemporary dance company. In 1999, Kim Brandstrup made a second ballet for Mukhamedov — Don Juan. Mukhamedov has received many dance awards all over the world and was awarded the OBE in the New Year?s Honours list in January 2000. By 2000, Mukhamedov was turning more and more towards creating his own choreography. In that year he was invited to stage a new Swan Lake for the Warsaw National Ballet Company. He also made his first ballet for his group — Four Horsemen. In 2003 he made a full length ballet for the London Children?s Ballet — The Prince and the Pauper. Since then he has made gala solos for himself, short ballets for the senior students of the Arts Educational School, Tring, and for the English National Ballet School, and a special closing piece for the Benois de la Danse Gala in London, in which he danced with students of the Royal Ballet School. In 2004 he was commissioned to make a full evening?s programme using Argentinian tangos, which toured in Norway. In 2005 he made a completely new version of Spartacus for the Hong Kong Ballet company. 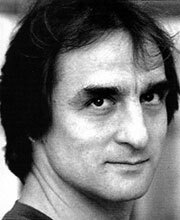 In 2004 and 2005 Mukhamedov was coach and guest teacher for the Royal Ballet, the English National Ballet, Scottish Ballet, and the Ballet Company of Bordeaux. He was also Principal Guest Teacher at the English National Ballet School. In 2005 he became a full-time teacher at Elmhurst School for Dance in Association with the Birmingham Royal Ballet.